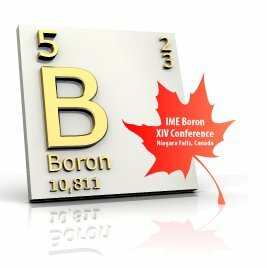 On behalf of the Organizing Committee, I am pleased to invite you to join us in Niagara Falls, Canada for the IME Boron XIV Conference. The meeting will be held September 11-15, 2011 and promises to continue the tradition of inspiring collaboration and discussion expected of the IME Boron meetings.We look forward to welcoming you to Canada in September 2011. The registration and abstract submission process will begin February 1, 2011. As we assemble an inspiring scientific program for the meeting, we anticipate that you will also enjoy all of the adventures that Niagara Falls can offer.